Bill Gates on helping the poor: GDP is a terrible measurement. And it hinders our ability to help the poor. Liberia is either the second-poorest, seventh-poorest, or 22nd-poorest country in terms of GDP, depending on how you measure. Even in good financial times, development aid budgets are hardly overflowing. Government leaders and donors must make hard decisions about where to focus their limited resources. How do you decide which countries should get low-cost loans or cheaper vaccines, and which can afford to fund their own development programs? The answer depends, in part, on how we measure growth and improvements in people’s lives. Traditionally, one of the guiding factors has been per capita GDP—the value of goods and services produced by a country in a year divided by the country’s population. Yet GDP may be an inaccurate indicator in the poorest countries, which is a concern not only for policymakers or people like me who read lots of World Bank reports, but also for anyone who wants to use statistics to make the case for helping the world’s poorest people. I have long believed that GDP understates growth even in rich countries, where its measurement is quite sophisticated, because it is very difficult to compare the value of baskets of goods across different time periods. In the United States, for example, a set of encyclopedias in 1960 was expensive but held great value for families with studious kids. (I can speak from experience, having spent many hours poring over the multivolume World Book Encyclopedia that my parents bought for my sisters and me.) Now, thanks to the Internet, kids have access to far more information for free. How do you factor that into GDP? The challenges of calculating GDP are particularly acute in sub-Saharan Africa, owing to weak national statistics offices and historical biases that muddy crucial measurements. Bothered by what he regarded as problems in Zambia’s national statistics, Morten Jerven, an assistant professor at Simon Fraser University, spent four years examining how African countries obtain their data and the challenges they face in turning them into GDP estimates. His new book, Poor Numbers: How We Are Misled by African Development Statistics and What to Do about It, makes a strong case that a lot of GDP measurements that we thought were accurate are far from it. Jerven notes that many African countries have trouble measuring the size of their relatively large subsistence economies and unrecorded economic activity. How do you account for the production of a farmer who grows and eats his own food? If subsistence farming is systematically underestimated, some of what looks like growth as an economy moves out of subsistence may merely reflect a shift to something that is easier to capture statistically. There are other problems with poor countries’ GDP data. For example, many countries in sub-Saharan Africa do not update their reporting often enough, so their GDP numbers may miss large and fast-growing economic sectors, like cell phones. When Ghana updated its reporting a few years ago, its GDP jumped by 60 percent. But many people didn’t understand that this was just a statistical anomaly, not an actual change in Ghanaians’ standard of living. In addition, there are several ways to calculate GDP, and they can produce wildly different results. Jerven mentions three: the World Development Indicators, published by the World Bank (by far the most commonly used dataset); the Penn World Table, released by the University of Pennsylvania; and the Maddison Project at the University of Groningen, which is based on work by the late economist Angus Maddison. These sources rely on the same basic data, but they modify it in different ways to account for inflation and other factors. As a result, their rankings of different countries’ economies can vary widely. 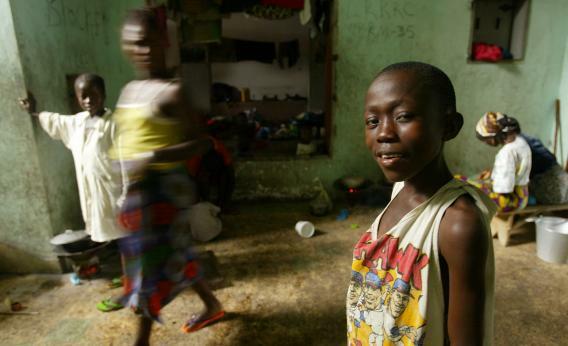 Liberia is sub-Saharan Africa’s second-poorest, seventh-poorest, or 22nd-poorest country in terms of GDP, depending on which authority you consult. It is not only the relative rankings that differ. Sometimes, one source will show a country growing by several percentage points, and another source will show it shrinking over the same time period. Jerven cites these discrepancies to argue that we cannot be certain whether one poor country’s GDP is higher than another’s, and that we should not use GDP alone to make judgments about which economic policies lead to growth. Does that mean that we really don’t know anything about what works (and what doesn’t) in development? Not at all. Researchers have long used techniques like periodic household surveys to collect data. For example, the Demographic and Health Survey is conducted regularly to determine things like childhood and maternal death rates. Moreover, economists are using new techniques like satellite mapping of light sources to inform their estimates of economic growth. Although such methods are not perfect, they also are not susceptible to the same problems as GDP. Other ways to measure overall living standards in a country are similarly imperfect; but they nonetheless provide additional ways to understand poverty. One, called the Human Development Index, uses health and education statistics in addition to GDP. Another, the Multidimensional Poverty Index, uses ten indicators, including nutrition, sanitation, and access to cooking fuel and water. And, by using purchasing power parity, which measures the cost of the same basket of goods and services in different countries, economists can adjust GDP to gain better insight into living standards. Yet it is clear to me that we need to devote greater resources to getting basic GDP numbers right. As Jerven argues, national statistics offices across Africa need more support so that they can obtain and report timelier and more accurate data. Donor governments and international organizations such as the World Bank need to do more to help African authorities produce a clearer picture of their economies. And African policymakers need to be more consistent about demanding better statistics and using them to inform decisions. I’m a big advocate for investing in health and development around the world. The better tools we have for measuring progress, the more we can ensure that those investments reach the people who need them the most.